Time spent in prison has prompted some of the most profound and insightful writing we know, from Don Quixote to Civil Disobedience. Damien Echols—whose nearly twenty years spent in prison as part of the wrongfully-accused "West Memphis Three" was the subject of the documentary West of Memphis—has written a memoir of injustice, compassion, and redemption in Life after Death. He'll be joined in conversation with Shaka Senghor, an MIT Media Lab Director's Fellow, motivational speaker, and youth mentor whose inspirational memoir of his time in and after prison is entitled Writing My Wrongs. Discover the transformative, restorative power of writing in this frank and wide-ranging conversation. This event is co-presented with the Boston Book Festival. A portion of the proceeds will benefit the Prison Book Program. Tickets, which are $12 in advance or $15 at the door, include a drink ticket and light refreshments. 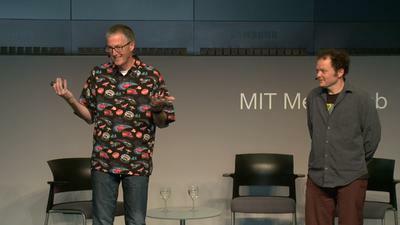 Standing-room tickets ($5) are available to MIT students with ID. 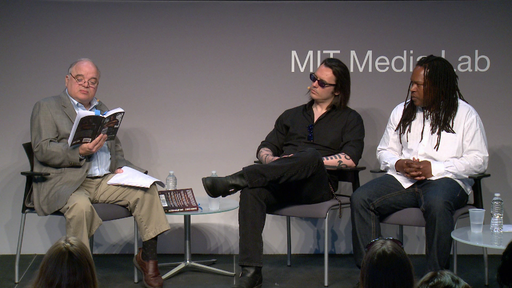 Damien Echols and Shaka Senghor in conversation on injustice, compassion, and redemption in relation to their prison memoirs. Shaka Senghor and Martha Minow in conversation with Media Lab Director Joi Ito.